The charming coastal community of Marshfield, Massachusetts is about 30 miles southeast of Boston. Residents enjoy easy access to Cape Cod and major roadways. Marshfield consists of eight villages: Brant Rock, Fieldston, Green Harbor, Marshfield Center, Marshfield Hills, North Marshfield, Ocean Bluff, and Rexhame. The town has a rich history and is best known as the home of Daniel Webster. 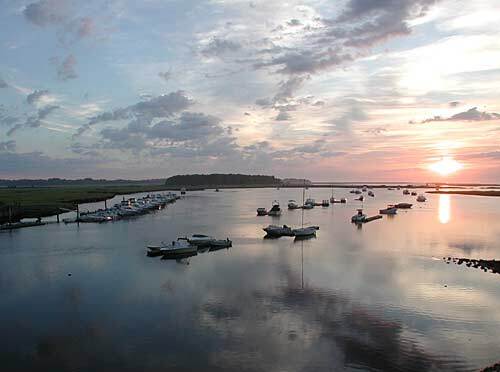 Marshfield has a pristine shoreline and plenty of diverse open space. Beaches include Brant Rock Beach, Rexhame Beach, Green Harbor Beach, and Humarock Beach. The recreation commission offers year-round indoor and outdoor activities. Popular historical sites include the Isaac Winslow House, Daniel Webster Estate, and Marcia Thomas House. The downtown area is home to a variety of business services along with a mix of shops and restaurants. The town has an annual population of about 25,000 which increases in the summer to about 40,000. Marshfield has many events throughout the year. The Marshfield Fair attracts visitors from all over Massachusetts. The town has a great school system with challenging curriculums. There are five elementary schools, a middle school, and a newly built (2014) high school. Marshfield is also home to The Boys and Girls Club which offers after school and summer programs for the town's youth, along with a brand new outdoor pool that was finished for the summer of 2017.